Until we change the way we work, innovating inside our organisations will always be an uphill battle. Much has been written about disruptors and incumbents. Wave after wave of heavily funded Silicon Valley startups have upended every industry from transportation to hospitality to retail. A supercomputer in everyone’s pocket, otherwise known as ‘mobile’ was the key enabling technology for this evolution. Of course, leaders of traditional businesses took notice, and digital transformation became a CEO imperative: Transform or perish. As leaders and their respective companies set out on their transformation initiatives, their first priority was always focused on the customer, and the customer-facing technologies. It was a reasonable strategy. The website needed to be re-built urgently and mobile apps needed to be launched immediately! Consultants and contractors were hired. Projects were initiated, and deliverables were delivered. Substantial fees were paid. But ultimately, very little transformation had actually occurred. Perhaps I’m being trite. Many companies that historically had little to no digital resources started to staff these new capabilities in house, but few companies went all in. There is now broad recognition that it is impossible to be a digital business without first being digital on the inside. Offering your customers a mobile app does nothing to prevent you from being disrupted by natively digital businesses who can attract top talent, get to market faster and iterate more quickly. Deloitte recently introduced the concept of the ‘digital iceberg’ whereby in this digital era, business execs are focused one side of digital — the customer experience — but they ignore the skills needed to support digital initiatives. They say in reality, as most technology professionals appreciate, the front end is only the tip of the iceberg. The term ‘digital workplace’ seems to be in vogue for discussing the below-water bulk of the iceberg. Execs who are setting out on digital transformation initiatives are fundamentally setting out to change how work happens inside of their companies. The good news? There's tremendous opportunity in all industries and all lines of business. The bad news? Unfortunately, change is hard. 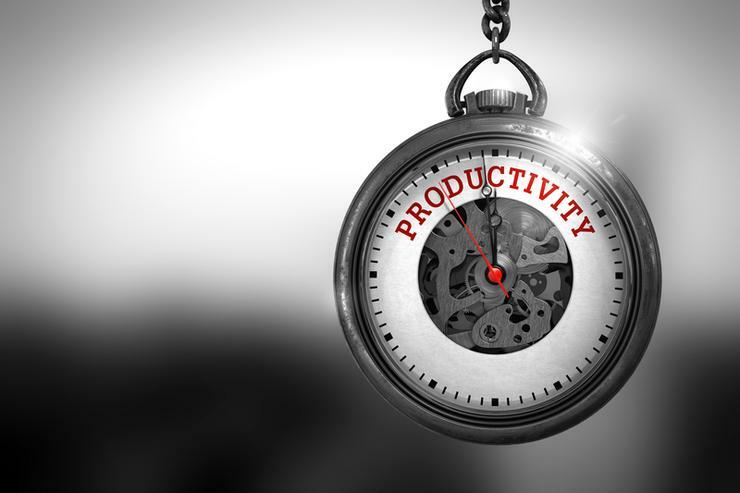 It would be foolish to assume that we're somehow at the pinnacle of productivity. I don’t think anyone would argue that there aren’t great strides that could be made in how work actually happens at companies. McKinsey has shown that we spend about 30 per cent of our work day reading and answering email and 20 per cent of our time searching and gathering information. Once you factor internal meetings into the mix, we only spend 39 per cent of our time doing ‘role-specific tasks’ i.e. actually getting work done. Isn’t that crazy? In their book, Time, Energy, Talent two Bain consultants said that corporations have implemented rigorous controls over financial resources, so that scarce capital is not spent frivolously. On the other hand, employees time, arguably the most important resource for companies, is consistently wasted with unnecessary meetings, inefficiencies and bureaucracy. Take this hypothetical: What if instead of just 39 per cent of employees’ time is spent on role-specific activities, you could boost that to say 50 per cent? It is both entirely possible, and would also be a dramatic change in output (a 28 per cent boost). What would that feel like for you? Your business? Without turning this into a deep dive on change management, suffice it to say that large scale transformation that alters the way employees get work done must be lead by the executive team and include a clear communications and employee engagement strategy. If you believe that transformation is about implementing new technologies and that employees will flock to them, think again. Of course, good technology reduces the effort but without a coherent change program you’ll never reach the escape velocity required to transform. 1. Customer-facing digital and mobile technologies are table stakes. 2. Digital (workplace) transformation offers tremendous opportunity. How work happens at large companies becomes ingrained in us as humans. It literally becomes part of our identities. “Kate distributes that status report every Thursday at 10:00am. It’s her thing.” This helps explain why innovation in the workplace is so hard. Mike Clapson is manager for APAC at Slack.